I got my ultrasound results and just the same as the last 3 tests it has resulted in booking yet another appointment, this time with a cardiologist. I was told by my doctor that I have thickening of the left ventricle, something that I have since found out could be hereditary since my father and uncle have had the same diagnosis. Of course the fact that my dad has had a quadruple bypass doesn’t sit well with me since that’s not a road I really want to travel. 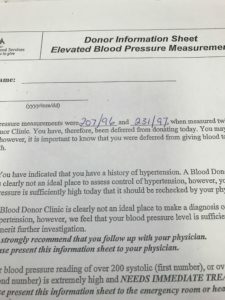 Over the course of the tests I have noticed that my blood pressure was high, something that was noted by each tech but put down to situational stress. Being logical I thought that maybe if I went to give blood then that might help, and also be my good deed for the holidays. You should be in the hospital, she said. I haven’t seen blood pressure that high in forever. 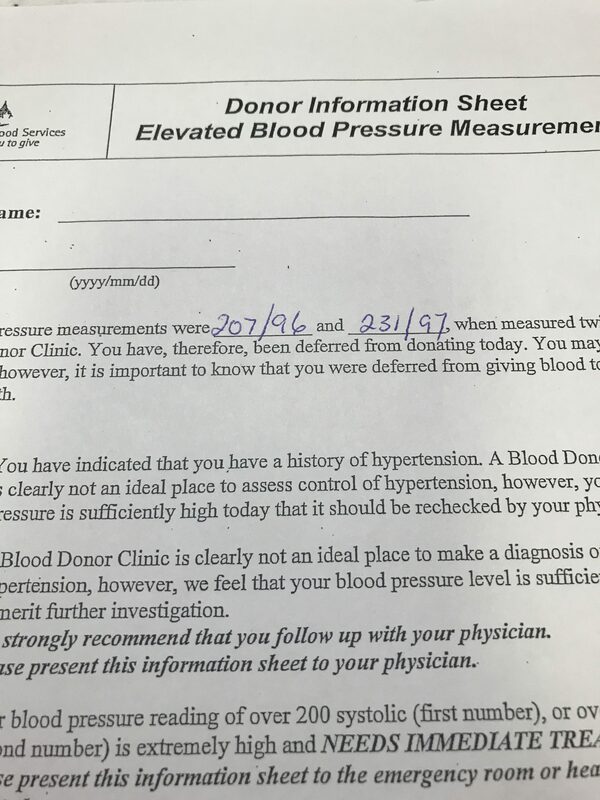 Your blood pressure is 231 over 97? That was an awesome way to start my holiday, and of course what’s worse for super high blood pressure than the stress of having super high blood pressure? I booked an appointment with the doctor and was in the office that afternoon. Her AVERAGE reading was 188/97 which although much better still had my veins bulging out of my forehead like ship ropes since it’s still considered Hypertensive crisis. She told me if it was still this high in 3 days to go to emergency and tell them to fix me because too many days of these readings have me squarely in heart attack / stroke territory. She gave me a diuretic which I have to admit made zero sense to me and told me to avoid coffee and salt for a few days. Being an obedient patient I did just that and of course being off work would also help to no end. The next day we had the big end of year party for gymnastics which was an amazing night, seeing so many old friends and all the kids having fun was just what I needed and although for the next 4 days my BP remained very high on Boxing day my reading finally dropped into the 170s and then the 160s. So I am finally down into Hypertension stage 2 which wouldn’t normally be a cause to celebrate but in this case I think coming back from what I could conservatively call the brink of a cardiac event is a good thing. But I am angry. So very angry. The rational part of my brain is crying out like that 11 year old boy I once was that this isn’t fair. I tell my girls every day that life isn’t fair, but that doesn’t take the sting away. You have to work to make it fair, I tell them. But what is supposedly better for your health than a literal lifetime of fitness and careful attention to diet? Sure, I have strayed in the past, there was a time in that picture top right that I was 300+ but it was only for a handful of years. 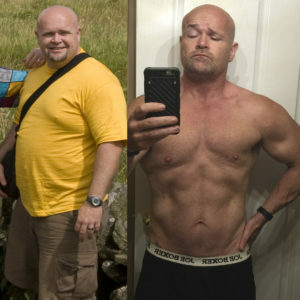 It’s been 10 years since that, no sugar, no grains, strict adherence to diet, no drinking for 25 years, no smoking for at least 10 more so in the end I am left with the question “why me”. There is no reasoning with disease. There is no bargaining with illness and when I consider those around me who are struggling with what are considered far more serious health issues I can’t help but feel selfish. But standing at death’s door, no matter if it is only a selfish perception makes you feel very, very lonely. I have one athlete who I am constantly telling “Stop worrying about things that haven’t happened yet” and it was that thought that really made me pull back and put things into perspective. I was doing what I could. 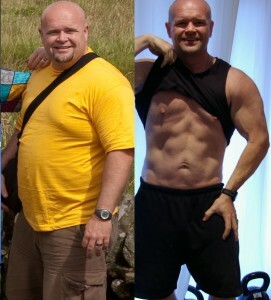 I knew that in the past more cardio at the gym had helped in how I felt so I was facing up to that task too. I had all my tactics in place and so I was faced with the knowledge that with everything I was doing, I had to fix my attitude. So I am not worried. I am doing what I have been told and I am monitoring my situation. I am going to work today and I will have a professional take my BP again to see if my home readings are close to reality. In the end though I have to understand what caused this to happen and although it’s been a pretty hectic couple of months with the gym I would point my finger directly at my work situation. Complaining won’t help, so I won’t. Decisions have to be made and plans need to be laid if I am to prevent cutting years off my life for the sake of times gone by. Why me? It doesn’t matter. I am dealing with facts and not allowing my emotional side to become involved because if I do, things will go downhill in a hurry. Disease doesn’t care so neither do I. I will fight this with the detachment of disease itself. I will kill it with the same impunity with which it takes lives. Although I have spent some time being truly terrified of the future I have decided that I will survive. I am not done yet. This entry was posted on Wednesday, December 27th, 2017 at 7:39 AM	and is filed under Injuries, Nutrition, Rest. You can follow any responses to this entry through the RSS 2.0 feed. You can leave a response, or trackback from your own site.